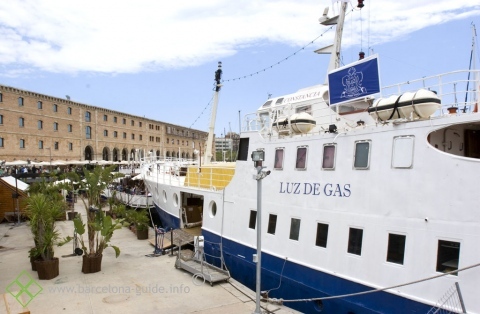 It is a shame that there is only one floating bar in Barcelonas harbour, since it is a very nice idea. 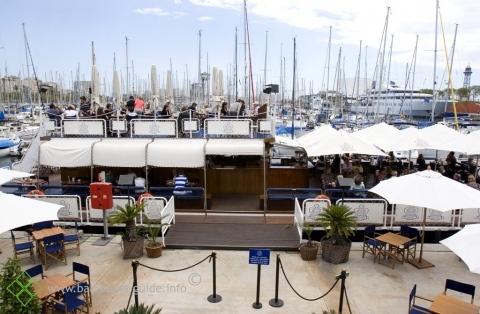 This boat-bar is maybe not so special in itself, but you do can find your memorial moments. 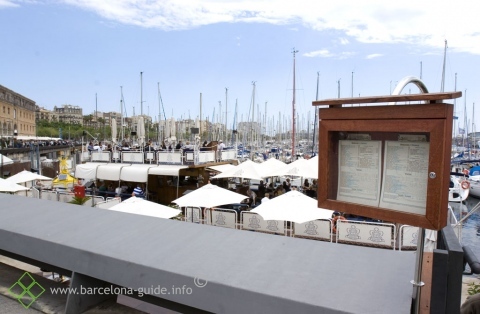 Take a beer in the sun overlooking the harbour and the boats or sip on a grate glas of wine at night while the candles lightly lightens up the surrounding.